The Chinese Mountain Cat (Felis bieti) is a little known wild cat occurring in the remote mountainous regions of China. This cat looks very similar to the European wildcat (Felis silvestris silvestris) in terms of size and markings but has a much paler yellow-grey coat. Recent surveys have not found any evidence of this cat in parts of their expected range and it is suspected that poisoning of prey species may have affected numbers. The current Felidae taxonomy revision regards this species as monotypic (no subspecies), although more genetic studies are required. The global conservation status for the Chinese Mountain Cat is Vulnerable (VU) as there are likely fewer than 10000 individuals in the wild. Yin Y.F., Drubygal, Achu, Lu Z. & Sanderson J. 2007. 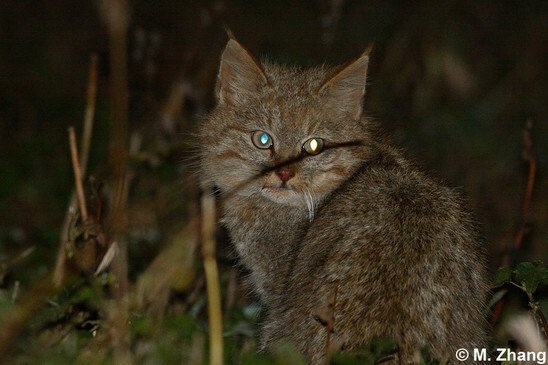 First photographs in nature of the Chinese mountain cat. Cat News 47, 6-7. Driscoll C. A., Menotti Raymond M., Roca A.L., Hupe K., Johnson W.E., Geffen E., Harley E., Delibes M., Pontier D., Kitchener A.C., Yamaguchi N., O'Brien S. J. & Macdonald D. 2007. The Near Eastern Origin of Cat Domestication. Science express 28 June 2007, 1-6. Chen N., Li L., Shan S., Yufeng Y. & Sanderson J. 2005. 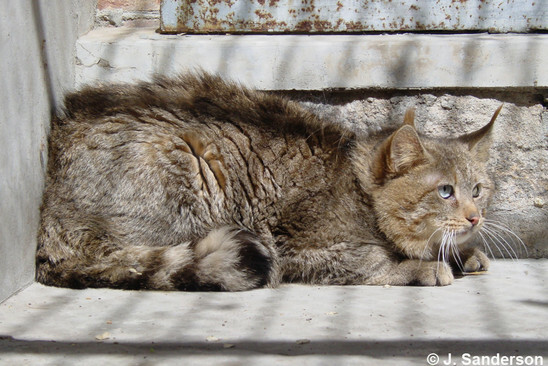 Status of the Chinese Mountain Cat in Sichuan Province (China). Cat News 43, 25-7. He L., Garcia-Perea R., Li M. & Wei F. 2003. 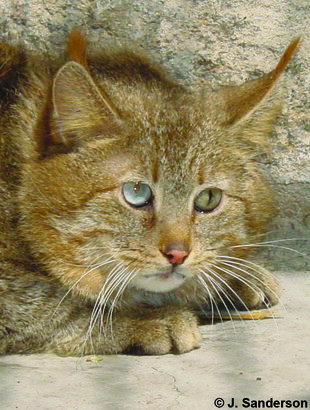 Distribution and conservation status of the endemic Chinese mountain cat Felis bieti. Oryx 38(1), 55-61. 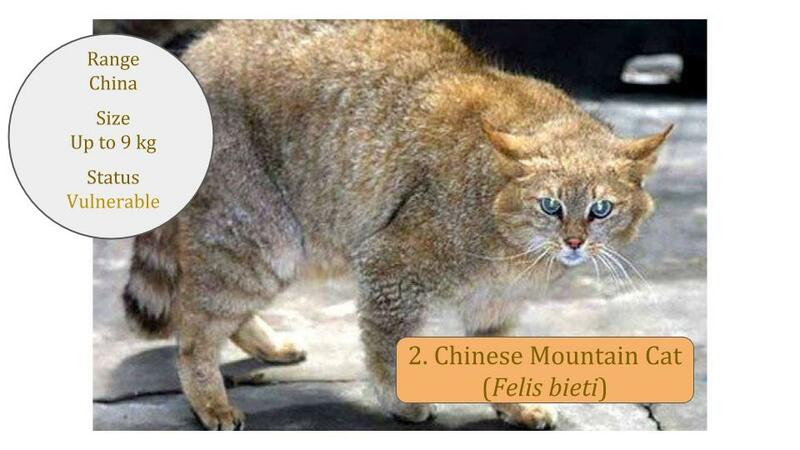 Morphological characteristics and affinities of the Chinese mountain cat, Felis bieti (Preliminary Report) Madrid, Spain: Museo Nacional de Ciencias Naturales, 4 p.
Note this species is sometimes described as a subspecies of Wildcat ie Felis silvestris bieti.